To be a sustainable and accessible organization. The new state-of-the-art community center will provide a central gathering space, an amenity serving current Dubuque residents, as well as a quality of life feature city, economic development, and business leaders can point to in their recruitment efforts. 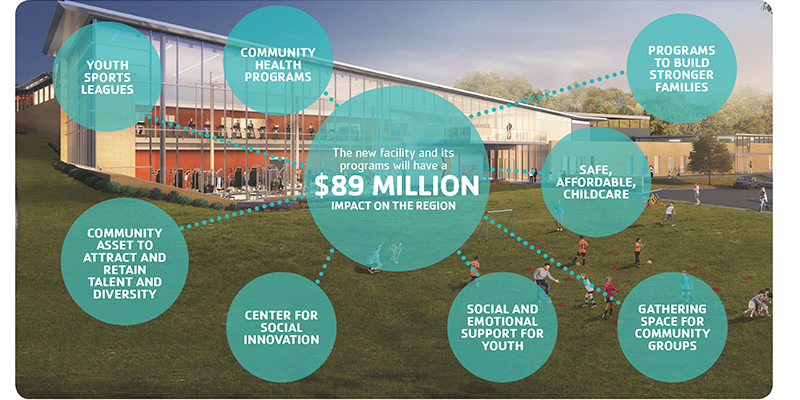 As part of their engagement, Convergent Nonprofit Solutions helped the board of directors identify the Dubuque Y’s current value to the community (areas of value graphic). In developing the plan for the new facility, we also conducted an economic analysis of the new facility’s impact on the Dubuque region, which is estimated at $89 million!